Chelsea have confirmed midfielder Michael Essien suffered a knee injury during pre-season training this week. The 28-year-old Ghana midfielder, who missed much of the 2008/2009 campaign after sustaining anterior cruciate ligament damage while on international duty, will be assessed by the club's medical staff before any further prognosis. 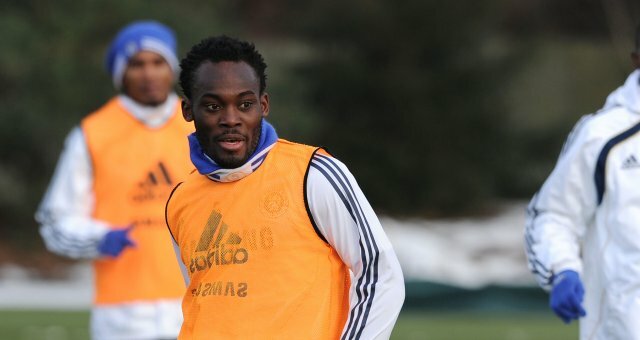 A statement on chelseafc.com reads: "Michael Essien suffered an injury to his right knee during training this week. He will undergo tests over the next few days to determine the extent of that injury. Until we have the full results of those tests we will not be commenting further." Essien also missed the 2010 World Cup because of a knee problem, and the midfielder's fresh injury represents an early blow to new Chelsea manager Andre Villa-Boas, who is preparing his squad for their trip to the Far East where they will compete in the Asia Cup.